24 x 12 - Thirupathy Melchathu Vastram - 24 Muzham waist piece and 12 Muzham shoulder piece. This Dhoti is for Deity Alankaram. 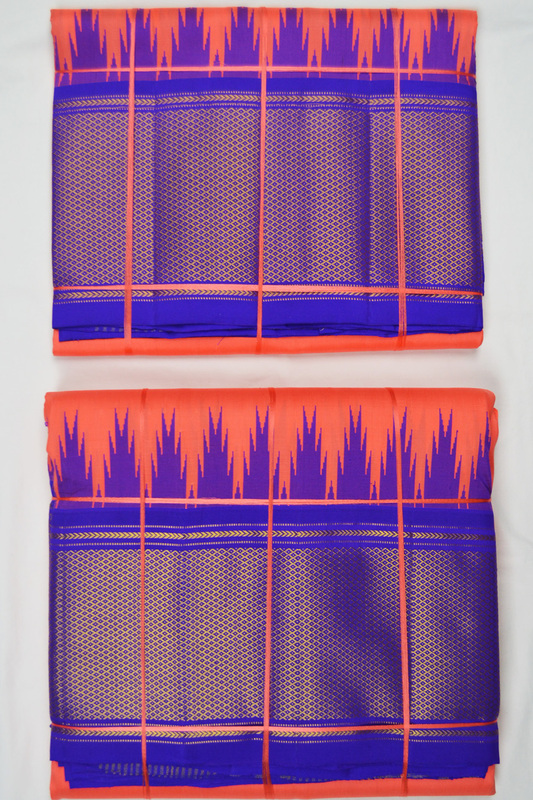 Kanagambaram color body with Violet color border. Shawl is in same color as the Dhoti.